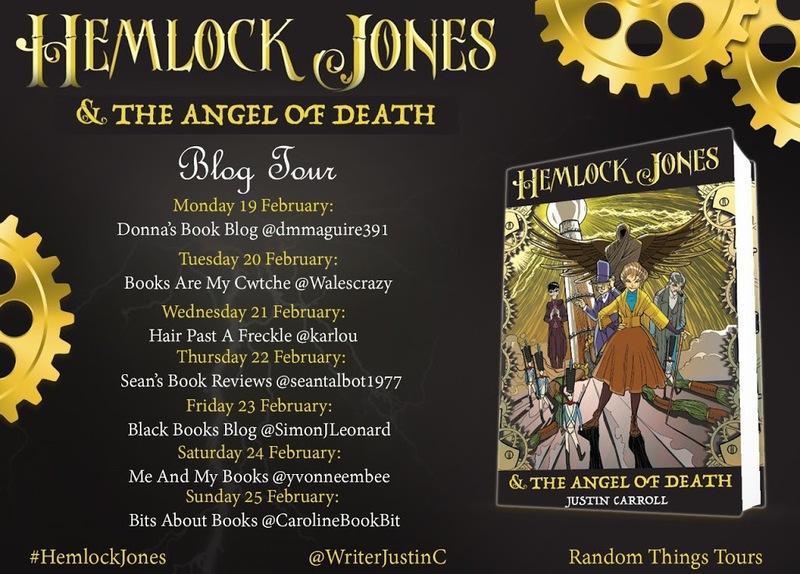 It’s not long until the blog tour starts… Just a few short weeks in fact! 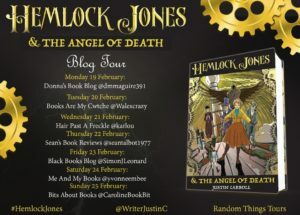 So, if you haven’t already, get yourself a copy of “Hemlock Jones & The Angel of Death“, have a read and then decide if you agree with the amazing bloggers who have agreed to review it. I’ll also be doing some Q&A / Character Spotlight / random thoughts things during the blog tour as well, so look out for those. All info is on the poster, created by the brilliant Anne Cater, who also organised the tour. Thank you Anne! HOWEVER, while waiting for the tour to kick off, I was absolutely delighted to receive this amazing, manga-esque drawing of Hemlock from Amélie, who apparently read Hemlock in three days and decided she really wanted to draw her. 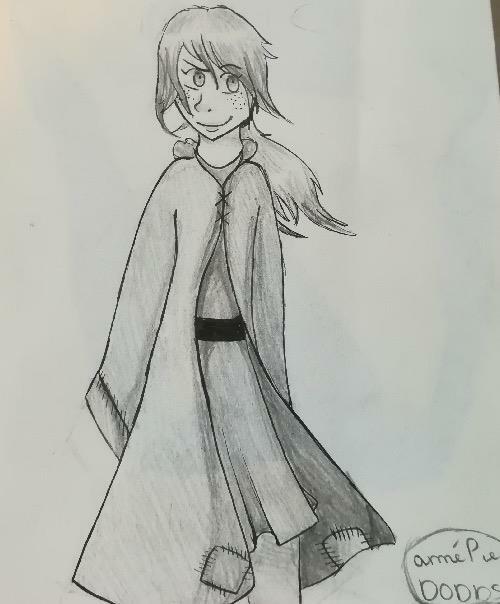 It means a lot for anyone to be inspired to make art based on something I wrote, so I wanted to share the pic and say a huge ‘thank you‘ to Amélie for reading Hemlock, and liking it enough to draw the demystifier!